If you’re looking for some fantastic books written by Native authors, we have two new titles to share with you. 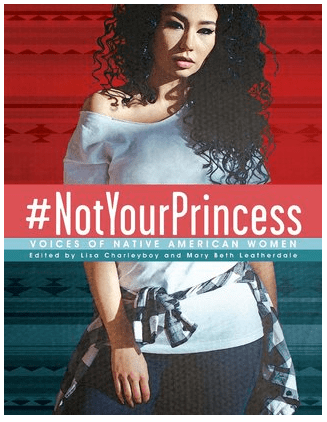 Recommendation: This is a phenomenal collection of essays, interviews, poetry, and various forms of art created by Native women. They share the past, the present and hopes for the future. They also share pain, anger, connections, triumphs, hope, and so much more. We heartily recommend this book. In October we each read the book and had a discussion you may find here. You may also find Crystal’s Review here. For even more about the book, visit Dr. Debbie Reese’s site, American Indians in Children’s Literature (AICL), to read her review. 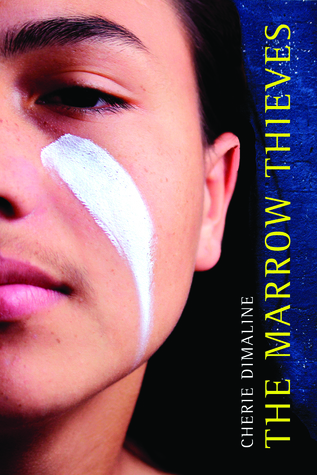 Mini-Review & Recommendation: The Marrow Thieves is a powerful book of survival, love, family, and all that matters. What made the book intense for me was how this dystopian story felt very much like it could happen in the near future. Sometimes dystopias feel like they are way off in the future, but this felt horribly close. It drew from the recent past with the many connections to residential schools and the new version of them rapidly multiplying seemingly everywhere. This book may lead readers to question what they are willing to do for their loved ones and future generations. A quote that stood out to me was, “Sometimes you risk everything for a life worth living, even if you’re not the one that’ll be alive to live it.” I highly recommend The Marrow Thieves. These are characters nobody should miss. Dr. Debbie Reese has also posted a thorough review at her blog.